There are 14 round cut diamonds around the central Aquamarine in a yellow gold mount. The ring is in a unique Art Deco / Modernist style. The stones have a fantastic sparkle and lustre and really looks stunning. 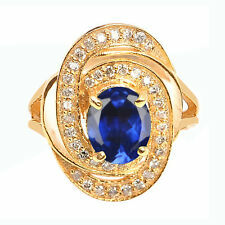 There are 6 round cut diamonds around the central Aquamarines in a yellow gold ornate mount. The ring is in a unique Art Deco style. The stones have a fantastic sparkle and lustre and really looks stunning. There are 14 round cut diamonds around the central ruby in a yellow gold mount. The ring is in an antique possibly Art Deco style. The stones have a fantastic sparkle and lustre and really looks stunning. This is a fabulous super sparkly 14ct White Gold Diamond ring. It has a large 0.60ct centre diamond and two 0.10ct diamonds, one either side. The diamonds are colourless and virtually Flawless, I can't see any flaws under a 10x loupe, it is a very beautiful ring and is super fiery and very sparkly. 9ct Yellow gold. Ring is UK Hallmarked for solid 9ct Gold. Diamond ring. Size J (uk) - 4 1/4 ( usa) Ring sizing details Below . Ring sizing service available, at cost price of £19.50. Set with 0.17ct of beautiful round cut diamond. The diamond set milgrain shoulders are raised with Art Deco designed zig zag side profiling. The above is crafted onto the original 18 carat white gold shank which has the makers mark WAP&Co (Perry & Co) and stamped 18CT PLAT. Hatton Garden Jewellery Quarter, London. This ring is also available in Platinum, 18K White, Yellow and Rose Gold. DIAMOND JEWELLERY. Diamond Cut : Excellent. Diamond Clarity : SI. Diamond Shape : Oval cut. Platinum diamond Solitaire Ring,0.50ct Brilliant cut diamond centre,H colour VS clarity, Weight: 4.85g. G colour VS clarity 0.29ct. Stone Shape: Round / Brilliant Cut. Stone Quantity: Single Stone. Stone Specification. Setting Type : halo Setting. Center Diamond Shape : Cushion. DIAMOND JEWELLERY. Diamond Clarity : SI. Diamond Color : F. Diamond Cut :Excellent. Diamond Carat : 1.00 Carat. Ring Size: H, I, J, K, L, M, N, O, P.
New Diamond Solitaire Ring, Stunning 1ct VS1/J, 18ct Rose Gold, Boxed. Stunning diamond solitaire ring with accents set in 18ct rose gold. The diamonds are round brilliant, excellent cut and are of VS1 clarity, colour J. Ring weighs 2.6g, and will be sold boxed as shown in the photographs. 10K White Gold. Solitaire With Accents. Note : All Designs Are computer generated designs. Original Product Might look little different than this. This solid handmade ring is perfect gift for the significant other, or special best friend, they can wear it as wedding rings or to complete their formal or casual wear, The joy of a handmade ring is it's unique design, and it makes an interesting conversation piece. GIA CERTIFIED CUSHION FANCY YELLOW DIAMOND AND PLATINUM RING. Condition is Used but excellent condition. Dispatched with Royal Mail 1st Class. This stunning Diamond ring features a centre 0.25ct Diamond with Baguette cut Diamond Accents set in 14ct Yellow Gold. 14ct Yellow Gold. The Diamonds sparkle and glisten even from a far distance. The Diamonds truly are fabulous, graded VVS1 G colour, with over 0.75ct of Diamonds total approx. A gorgeous classic ring! The hallmarks can be clearly seen for both gold quality (750 for 18ct and DIA 0.25 for the carat weight of diamond). The is also a small diamond on two sides of the ring which you can see in the photos - a beautiful little design touch! The Central solitaire diamond is certified as Colour I and SI2 in clarity. The certificate is included with the ring. Stones: 1 Natural diamond weighing 0.50ct & 2 diamond accents weighing 0.085ct (in total). Setting Type : halo Setting. DIAMOND JEWELLERY. Diamond Clarity : SI. Diamond Color : F. Diamond Cut :Excellent. Diamond Carat : 1.00 Carat. Ring Size: H, I, J, K, L, M, N, O, P. This ring is also available in following sizes H, H½, I, I½, J, J½, K, K½, L, L½, M, M½, N, N½, O, O½, P, P½. Fancy colored diamond - (very subtle). 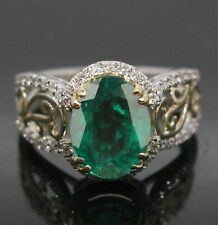 If you would like to invest in a fancy colored stone, yet wear a diamond that looks fairly normally white on your hand - this would be a great buy. Colour - "Fancy Faint Yellowish Orange". Crafted in 18ct White Gold. 18ct gold standard marks. Solitaire Diamond. A charming 21st century solitaire. & 0.40 ct accents. brilliant diamond accents. crafted on an 18 carat white gold band. RoundBrilliant-cut 0.30ct Diamond. 9ct White Gold 1.25ct. Ring has full UK Hallmarks for solid 9ct Gold. Diamond ring. Size P (uk) - 7 1/2 ( usa) Ring sizing details Below . Ring sizing service available, at cost price of £22.00. Ring sizing is done to a very high standard. Setting Type : halo Setting. Center Diamond Shape : Princess. DIAMOND JEWELLERY. Diamond Clarity : SI. Diamond Color : F. Diamond Cut :Excellent. Diamond Carat : 1.00 Carat. Ring Size: H, I, J, K, L, M, N, O, P.
Side Diamond Shape : Tapper Baguette. Center Diamond Shape : Princess. Hatton Garden Jewellery Quarter, London. DIAMOND JEWELLERY. Diamond Clarity : VS. Diamond Color : F. Diamond Cut :Excellent. Item has full UK Hallmarks for solid 18ct Gold. Depth of the face of the ring (mm) - 4. principal diamond estimated. Set with 1 brilliant cut Diamond and 24 individually cut Diamonds. Size N (uk) - 6 3/4 (usa) Ring sizing details Below . 9K White Gold. Princess & Round Crown Width: 7.45mm. 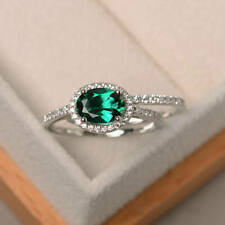 Diamond Colour This ring is also available in following sizes H, H½, I, I½, J, J½, K, K½, L, L½, M, M½, N, N½, O, O½, P. Once item is dispatch. Hatton Garden Jewellery Quarter, London. Diamond Shape : Round cut. This ring is also available in Platinum, 18K White, Yellow and Rose Gold. DIAMOND JEWELLERY. Diamond Cut : Excellent. Diamond Color : F.
The diamond is in the centre of the setting is 3 mm, and there are 7 diamonds set into each shoulder making it 0.35 carat weight of diamond (or possibly 0.33ct - I can't make out clearly which it is!). This 18ct white gold ring is set with a 1.01 IGL certified diamond (radiant cut, fancy cognac colour, VS2 clarity) and pave-set with 30 fine-quality diamonds (total 0.33ct). We are a group of jewellers and certified gemmologist based in London since 2011. Diamond Shape : Marquise. Hatton Garden Jewellery Quarter, London. This ring is also available in Platinum, 18K White, Yellow and Rose Gold. Ring Size : J,K,L,M. 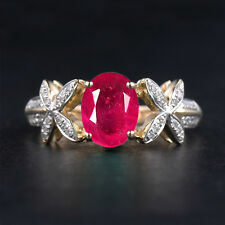 This ring is also available in following sizes H, H½, I, I½, J, J½, K, K½, L, L½, M, M½, N, N½, O, O½, P, P½. Main Stone Shape : Round Brilliant (1.00 ct) Secondary Stone Shape : Round Brilliant (0.50 ct Each). Main stone : Diamond Style : 3 Stone Ring. Diamond Education. Ring Size Chart. Diamonds color : F Cut : Very Good. 18ct White Gold 20pt Princess Cut Diamond Solitaire Ring. Goldmine Jewellers. 18ct White Gold 20pt Princess Cut Diamond Solitaire Ring. Set With a Central Princess Cut 20pt Diamond with 15pts Of Round Brilliant Cut Diamonds In Shoulders. Goldmine Jewellers London. TCW 35pts. Main Diamond Clarity: SI1 (GIA Certified). Diamond Color: E (GIA Certified). Ring's Attributes Ring Size: M.
Solitaire With Accents. Note : All Designs Are computer generated designs. Original Product Might look little different than this. This solid handmade ring is perfect gift for the significant other, or special best friend, they can wear it as wedding rings or to complete their formal or casual wear, The joy of a handmade ring is it's unique design, and it makes an interesting conversation piece. Diamond Cut : Excellent Hallmarked By : Assay Office London. Diamond Shape : Round Brilliant Setting Type : Claw & Channel Setting. Hatton Garden Jewellery Quarter, London. Diamond Clarity :VS. This ring is also available in Platinum, 18K White, Yellow and Rose Gold. Surrounding diamonds are all round brilliant cuts F/G colourless SI1 clarity GDW 0.46ct. A super marquise cut diamond solitaire surrounded by pretty diamonds. a Halo Setting which is. Diamonds tested as diamond with a Presidium Diamond Tester. Color Stones Change (White Topaz, Blue Sapphire, Ruby etc). Diamond Type -Real Diamond. Total Carat Wt - 0.70 Ct. Want to add A personal touch to this piece?. Diamond Cut - Excellent. 18ct Yellow Gold. The Diamond sparkles continuously and glistens even from a far distance. The total Diamond weight in this ring is approx. 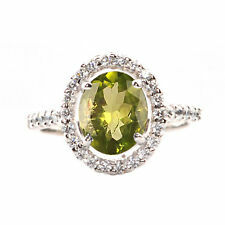 There are hidden Diamonds also under the stone, set into the gallery making this ring even more special and admirable. Hatton Garden Jewellery Quarter, London. This ring is also available in Platinum, 18K White, Yellow and Rose Gold. Diamond Shape : Round. DIAMOND JEWELLERY. Diamond Cut : Excellent. Diamond Color : F.